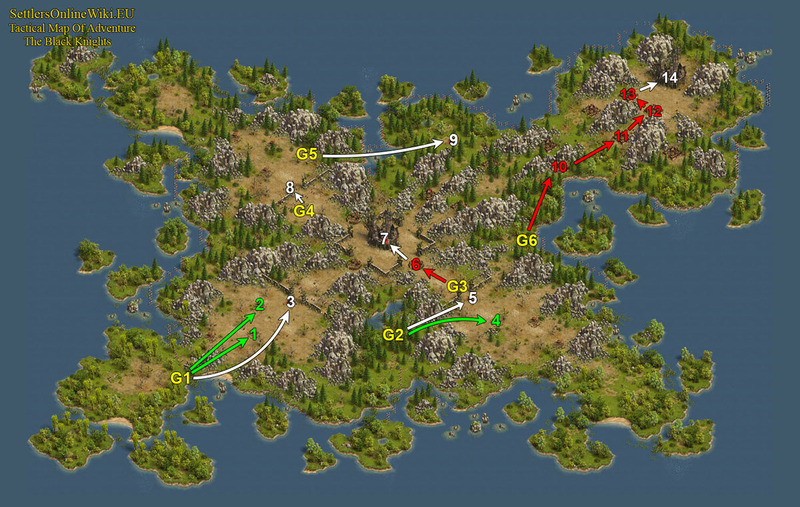 Attacking camp 2, we send General to camp 3. General will be intercepted and will destroy camp 2. After winning the fight withdraw the General. 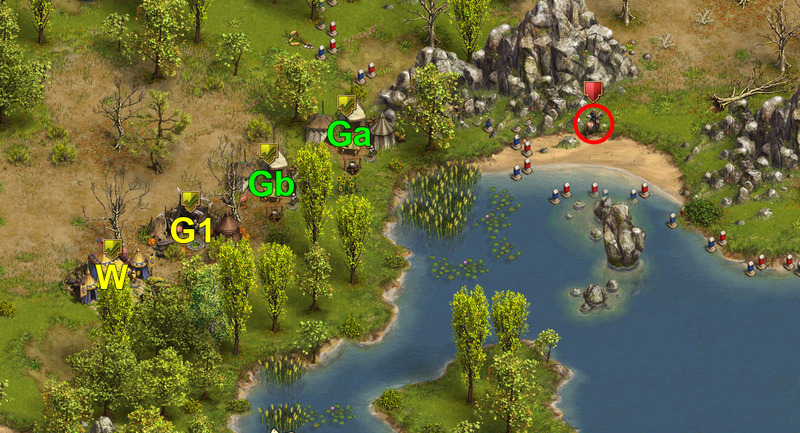 from W (2 wave (250) 53 Recruit, 1 Elite Soldier, 79 Cavalry, 117 Crossbowman) send Generals to camp 3.
from W (2 wave (250) 53 Recruit, 1 Elite Soldier, 79 Cavalry, 117 Crossbowman) send Generals to camp 5.